With the EKX series, Electro Voice introduces a new professional mobile loudspeaker line that meets the highest standards of technology and efficiency within its class. Highly efficient 1500W Class D amplifiers, intelligent thermal monitoring, an intuitive LCD control panel and the new SST (Signal Synchronized Transducer) waveguide design - the E-Voice EKX series convinces with solid workmanship, long-lasting reliability and outstanding performance. All loudspeakers of the Electro Voice EKX series are available in both active and passive versions. The new DSP functions of the Electro Voice EKX line are particularly interesting for the user: In addition to a 3-band EQ, visual monitoring of limiter, input level and master volume, four different presets for different application situations (music, live, speech and club) are available. In addition, four additional preset memory banks are available, which can be freely configured and personalized. The Electro Voice EKX-12P is an active 12" top speaker powered by a powerful 1500W Class D amplifier. With 132dB peak, this extremely flexible speaker achieves a sound pressure level that should be more than sufficient for many live applications. Combined with the EKX-15SP or EKX-18SP subwoofers, you get a highly efficient, powerful and mobile PA system. 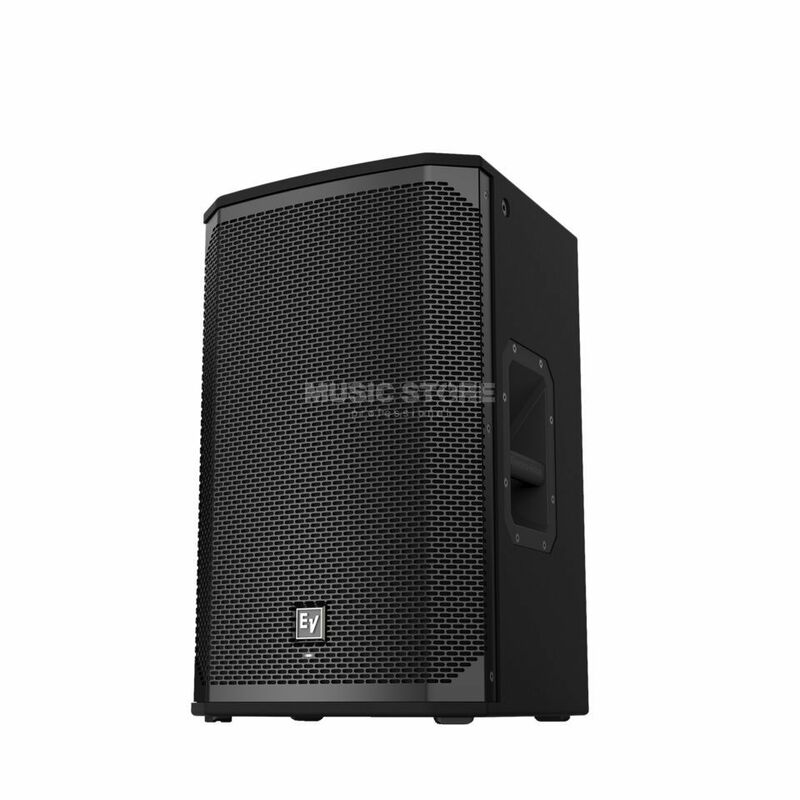 Due to the angled body, the Electro Voice EKX loudspeakers are also suitable as stage monitors.